Few things in nature are as mesmerizing as a waterfall. The thunderous roar as water spills over cliffs and the light glistening off the spray is an example of sheer force. 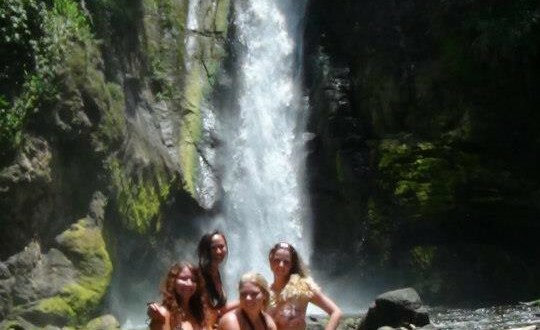 Costa Rica and Panama are countries where hundreds of cascading waterfalls can be found throughout the rainforest and mountainous areas. 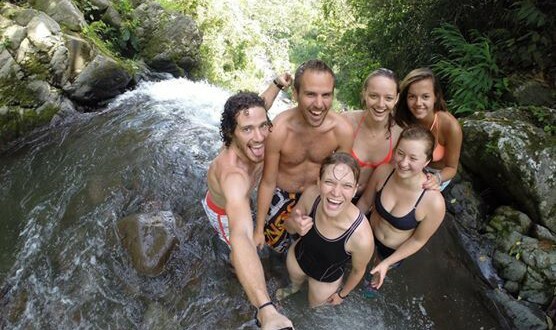 All great destinations for a day hike and a refreshing afternoon swim. 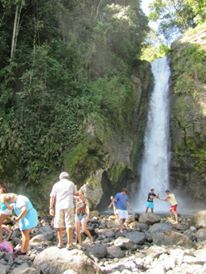 On a half day trip you can visit the Aquiares Waterfalls, located at 3 miles from Turrialba. At the bottom of a beautiful lake you may view the water cascading down and at the top is a natural slide running into a pool. The visit to the waterfall can be combined with a visit to the town of Aquiarres, a picturesque coffee growing village with a colonial church that is worth visiting. There is a nice waterfall right off the road to Bri Bri. Travel from Puerto Viejo to the Hone Creek intersection and make a left towards Bri Bri. A few miles up the road, at the top of the hill, you'll see a waterfall sign on your left. The path is like a long stairway, a five minute walk. There are two falls and pools you can swim in. 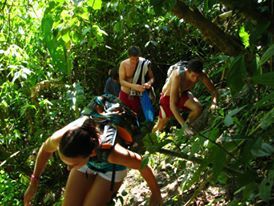 In Boquete, you will have the opportunity to hike to 3 incredibly and quite different waterfalls. You can stop at the second waterfall for a little dip in the pool with water cascading around you. Words cannot do justice to the breathtaking scenery.